A good strategy for “The Kitchen” or WB’s other films? The chef and serving up of the coming DC Vertigo comic book movie The Kitchen will be coming to us sooner than previously expected. Warner Bros. Pictures is set to release The Kitchen on August 9, 2019. This is one month earlier than the previously set release date, which was September 20 of this year. Hailing from the Vertigo comics imprint, The Kitchen tells the tale of the Irish mafia story 1970s’ Hell’s Kitchen, New York. An FBI sweep catches mob leaders, and while they are under arrest and their criminal enterprise is jeopardized, the mob wives take over. They end up running the illicit business in more vicious fashion than their husbands ever did. 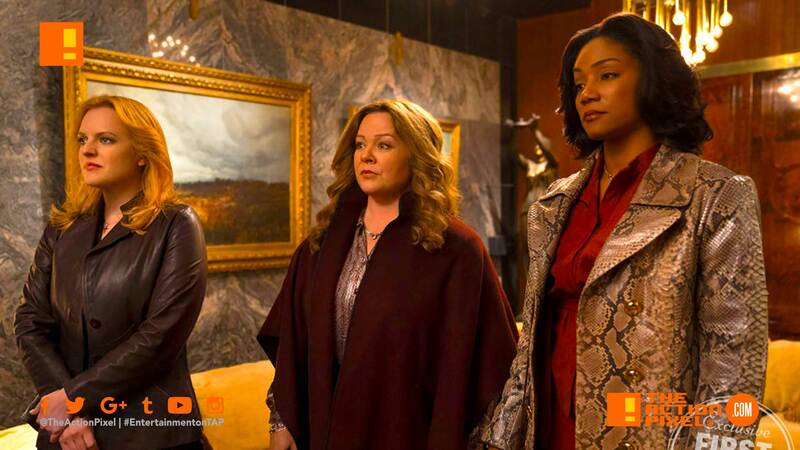 Actor Melissa McCarthy is playing an adoring mother who leads the women’s charge to take over the business. Tiffany Haddish plays a woman willing to kill anyone in the way of her plan. Moss will play a timid wife of an abusive husband who falls in love with the violence of her new life. Andrea Berloff is both writing and directing The Kitchen, with Michael De Luca who is set to produce. De Luca has also been named as a new producer on Suicide Squad 2.